AVL Executive Director Lew Bleiweis said in a news release that the airport is focused on its customers' needs "as well as sustainable energy in its operations." 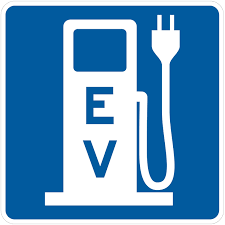 "The addition of electric vehicle charging stations is a good fit for the airport, and for our region," Bleiweis said. Use of the stations is free to airport visitors, available on a first-come, first-served basis. Duke Energy spokesperson Randy Wheeless said there also are stations installed in Hendersonville and Flat Rock. The company has 90 charging stations installed for the $1 million program. Additionally, Wheeless said there are more than 100 stations that have been awarded that are not yet installed. "Each town and city goes at their own pace," he said. "So we expect more in the future."